As you know, Goals in Analytics are limited to 20 per reporting view and every goal you create is assigned to a numeric ID from 1 to 20. So, you'll see all the 20 goals in the "+ METRIC" drop-down like Goal 1, Goal 2, Goal 3,...Goal 20. 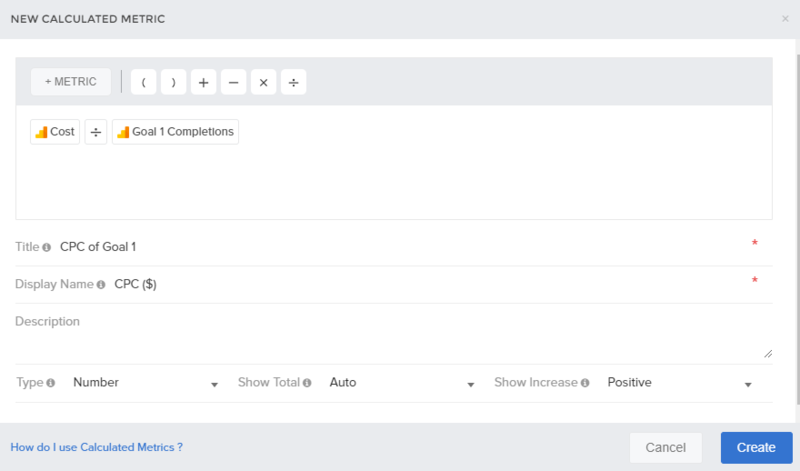 You can create a calculated metric using both active and inactive goals. But, you'll be able to see ONLY active goals while creating the reports. Drag and drop a widget or edit a widget. In 'Measures' drop-down, choose the custom metric which you've created. 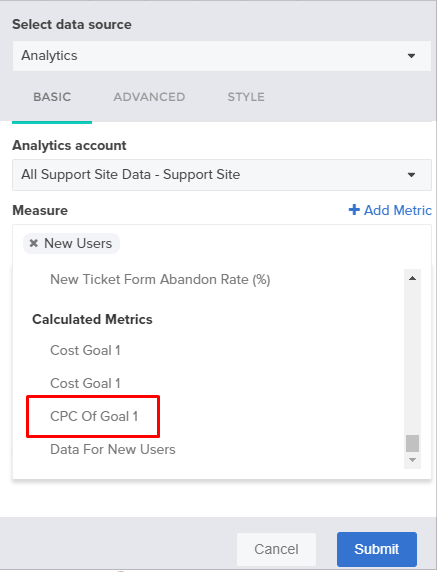 Below is how you'll be able to see the CPC of a Goal in Reports.